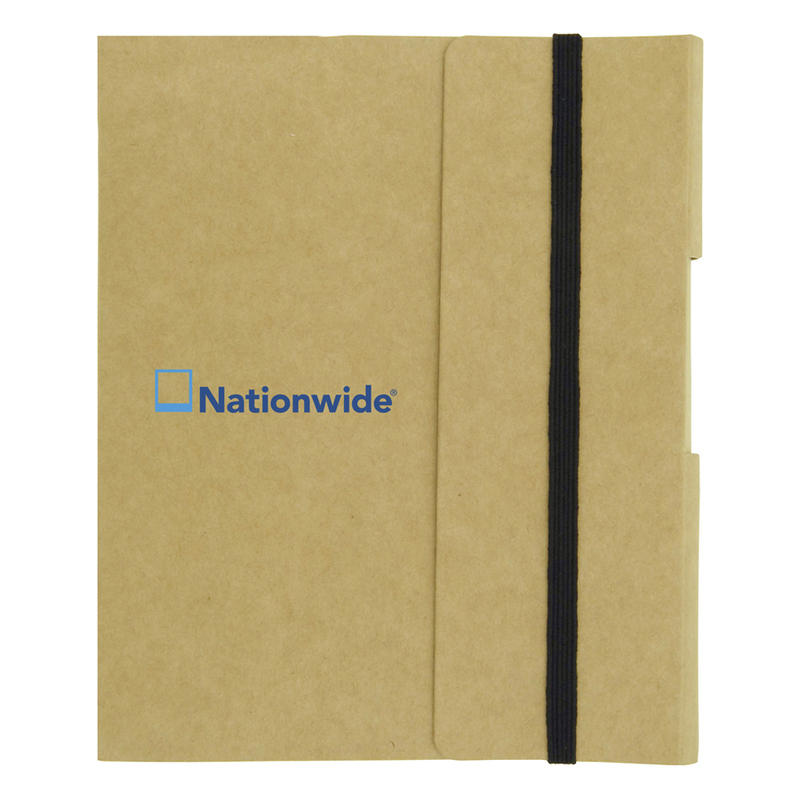 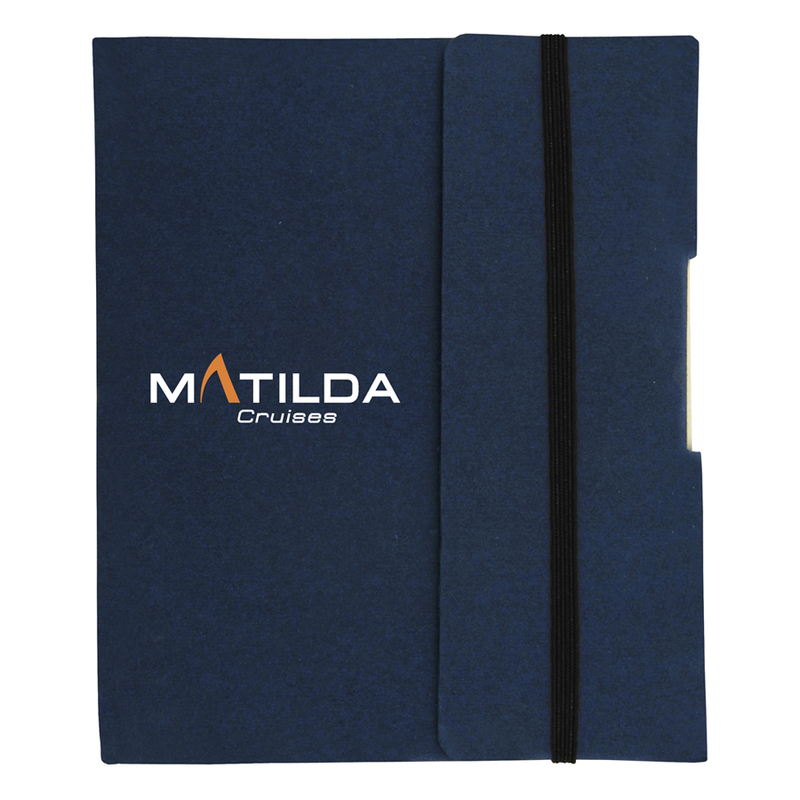 A fantastic environmentally friendly notebook that is guaranteed to effectively market your brand. Made from recycled paper with a heavy flexible paper cover makes these journal notebooks a fabulous eco-friendly choice to promote your company. 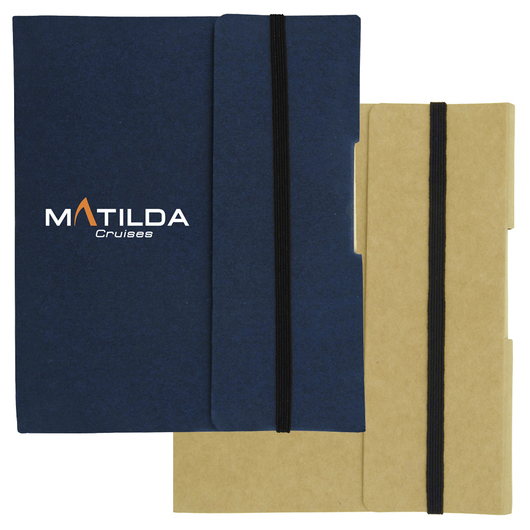 They include a blank black ink pen that's also made from recycled paper and an elastic band to keep the notebook closed. The inside cover and each page have the recycled logo in the corner. 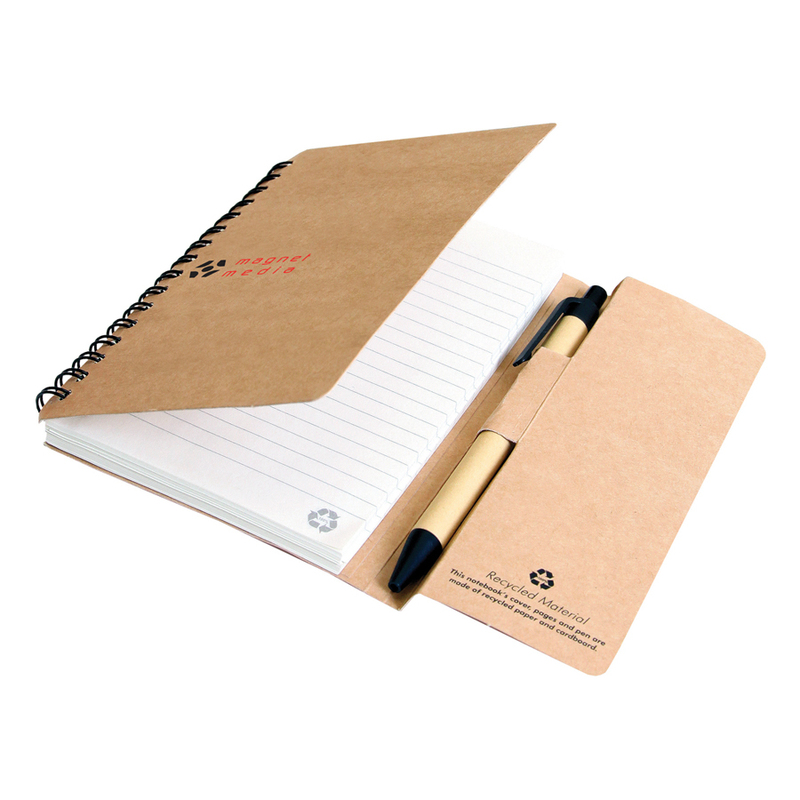 Books contains 85 lined pages made from recycled paper.